With a later than usual Labor Day, and a corresponding shift of school calendars, this year’s Rush season has come late to the college campus. And while the official start may well be based on school start dates, the nature of Rush is also a process undergoing change. 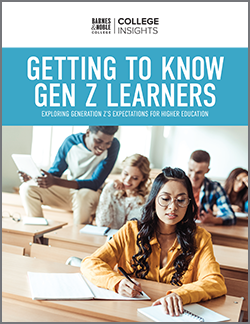 With new platforms to purchase textbooks and school supplies, and with different academic needs, this year’s Rush is reflective of the changing ways students view their whole approach to the start of the school year. 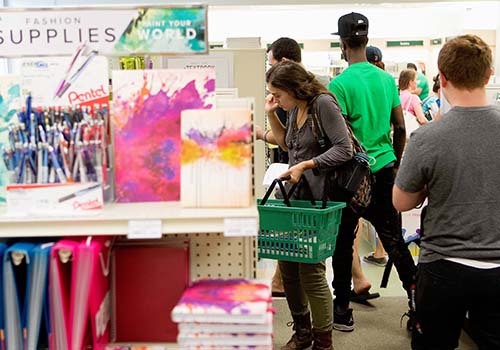 Supporting those changes, Barnes & Noble College has been preparing for this year’s back-to-school season with a raft of preparations to help the whole process run as smoothly as possible — and at the center of it all is the campus bookstore. Vostok admits that Rush always has a few surprises in store, and this year has proved no exception. “Students are buying later now — often within the first week of classes — and with Rush starting later this year, we’ve certainly seen that trend across our stores,” she explains. To help with back-to-school purchasing, students have been taking advantage of a new Visa Checkout promotion, offering not just increased convenience and ease of payment using the bookstore website, but also a $30 off a purchase of $100 or more, including textbooks, to help stretch their budgets even further. Vostok also notes another prominent trend this year, the shift to accessing the bookstore through mobile devices, which she’s seen escalate over the past two years. “We saw 118,000 downloads of our Student App during orientation,” she notes,” and that’s an overwhelming indication that students want the option of being able to shop and access information about their bookstore and campus through their mobile devices.” When it comes to obtaining textbooks, a third of the bookstores’ rentals come from web orders, but Vostok notes that students still prefer to pick them up in-store, and for Rush, that puts the focus firmly on the campus store staff. Karen Sweeney, Vice President, Store Operations, points out that it’s an especially impressive feat, considering Barnes & Noble College’s unique distribution system. “Each of our stores is its own fulfillment center. There’s no central warehouse, so fulfilling textbook orders is all about the individual store and the bookstore team,” she says. “It’s the student’s own store that is managing that used-book inventory, checking all the different options for that particular student for that particular book,” she adds. 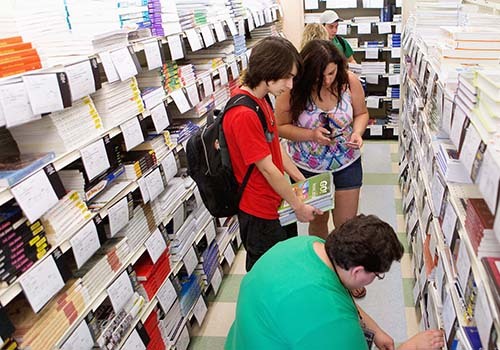 In addition to textbooks, the campus bookstore becomes the student’s destination for obtaining pretty much everything else for college life. In addition to electronics and school supplies, the National Retail Federation (NRF) reports that during Rush, college students and their families will spend a combined $208.74 on apparel and footwear, $117.98 on food items to stock their dorms and apartments, and $78.02 on personal care items. Over half of the respondents surveyed will purchase some $126.30 on furnishing their dorms or apartments, the most since tracking began in 2007. In addition to these kinds of items, the campus bookstore also provides a wealth of collegiate apparel for freshmen to start building that loyalty to their new school, while events such as VIP Shopping Nights offer exclusive opportunities for new students to familiarize themselves with their bookstore, receive one-on-one guidance on textbooks and enjoy the first of a succession of activities hosted there throughout the school year. 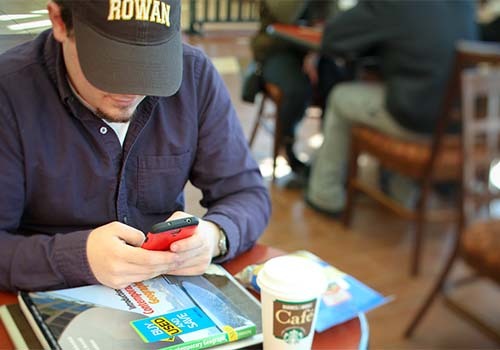 To Sweeney, Rush represents just part of the bookstore’s interaction with students throughout their collegiate lives. 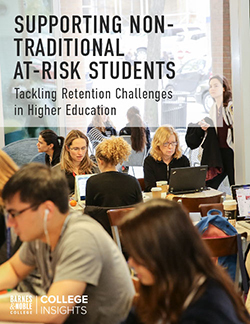 “If you think about the life cycle of that student, we’re there for freshmen orientation, we’re there for their first Rush, and we’re there to help them celebrate all the milestones through to graduation — and we’re still going to be part of the campus when they come back as alumni for homecoming and football games,” she notes, which is not to say that it’s not important to get Rush right.